If there’s one thing, I always insist visitors take part in it’s a pampering trip to the thermal baths for their first time in Budapest. Although I love showing my friends bright yellow Szechenyi (seh-chen-yee) in City Park, I suggest opting for the “Wellness” package at Rudas (ru-dash). 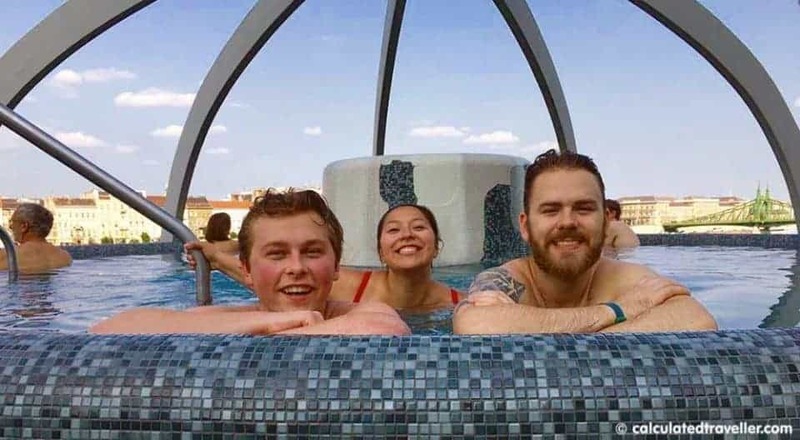 You’ll enjoy a view of the Danube and Gellért Hill from the rooftop tub as well as chill out in the newly renovated pools and saunas. Crowds are few, and it’s modern compared to the typical Turkish baths, but certainly peaceful. Szent Lukacs (St. Lucas) is also a great budget option if staying away from the crowds is your thing. Here’s a great article with tips for visiting a thermal bath. Check out Rudas Baths on TripAdvisor. Budapest nightlife is crazy, and the famous ruin pubs prove its reputation as party central. The original, Szimpla, is an excellent example of a repurposed building destroyed during the war. It has quirky decor like bathtubs or tires-turned-seating and offers shisha, live music, and fresh markets on Sundays. Other notable and unique venues include Fogasház, Ankert, and Instant, a multi-level club with 26 rooms offering top 40’s, electronic, R&B, and reggae to dance the night away. Prefer a hip atmosphere with great beers and chill vibes? Léhűtő (lay-who-tuh) or Élesztő (eh-less-tuh) are top-notch craft beer bars in the centre with hundreds of options on tap or bottled. I dare say Hungarian cuisine is delicious. I love it all and will always be confident everyone will like at least one of the cuisine’s delicious street foods. You’ll find booths for chimney cakes on almost every corner for around 1 euro and listed on the dessert menu of every restaurant is palascinta (thin pancakes). If you like strudel, you’ll love rétes (reh-tesh) found inside Great Central Market Hall, an incredible fresh market. 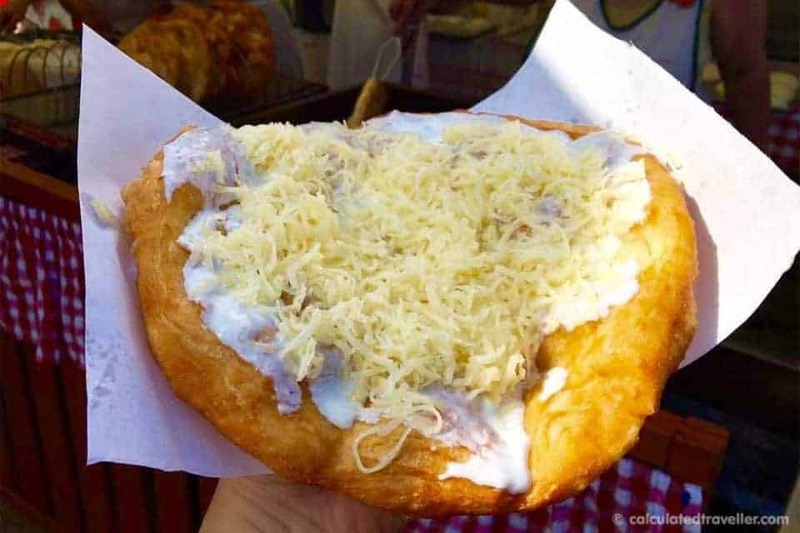 Or, if you want something more unique and savoury, pick langós (lang-osh), a deep-fried dough topped with sour cream and grated cheese. Just like a fluffy pizza, you can order it at the stand right outside metro station “Arany János”. Last but not least, if you want to be like a local, you must eat Túró Rudi, chocolate covered curd cheese! Here’s a great article profiling an Hungarian Food Tour. City Park and Margaret Island are both excellent green getaways from the bustling city where you can picnic, play frisbee, and rent a bike. But if you’re after great views, I recommend taking a hike up Gellért Hill on the Buda side for the ultimate panorama of Pest. Also, consider taking one of the many free walking tours like NEXT City Tour’s Free Tour of Budapest if you’d like to learn more about the history and culture of Hungary. It’s a perfect overview guided by a local who knows the ins and outs of the city. Doing your best to speak Hungarian with the locals goes a long way (trust me!). 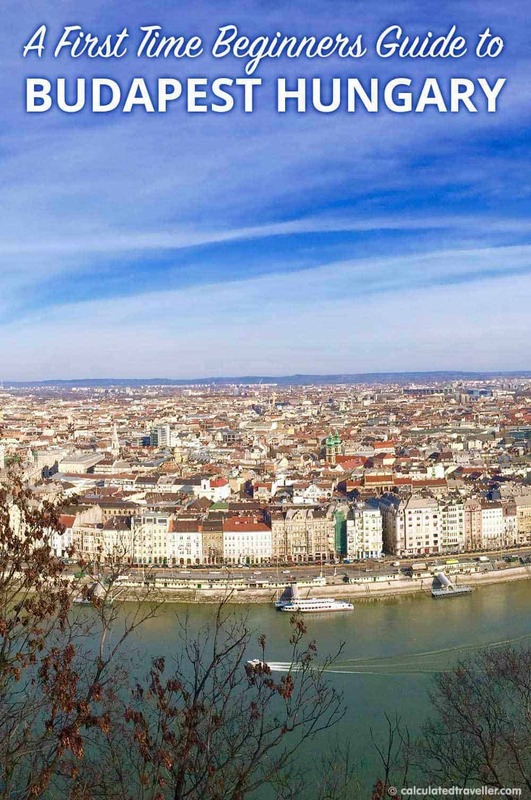 Well, there you have it, my quick guide to Budapest and what you should consider taking advantage of the next time you visit. Have anything you’d like to share?